I miss my CD player! There might be more cons than the pros here but I still purchased the Toyota Etios J with whole heart since I always desired to own a Toyota somehow. The car has everything that makes up for a good ride except for a power steering, some safety features and a music system. The positives about the car include the excellent engine mileage and efficiency together with amazing power as well. The seats are very comfy and the suspensions of the car are exceptional in quality and technology that I have never seen before. The cons of the sedan include the absence of power steering that has become a usual these days but it seems the sedan has undergone a lot of cost cutting from Toyota lately. Moreover I am never too conscious about safety but it is definitely needed especially after what I have gone through recently. I love music and my ride would be incomplete with the touch of one, so forth, I went to the Toyota Accessories segment and got myself configured a system with a CD player and a superb 4-speakers system. However the plight I suffered after my CD player got stolen recently. At this instance of time I also realized that the Etios has scarce safety essentials since a burglar alarm could have prevented the theft from occurring. I have been searching for the same system that I got configured but have no clue as to which one to buy now and how and also from where, since Toyota Accessories are hard to get and perhaps there are very third party sellers but there always a problem with quality and genuine product. I miss my CD player and desperately need help in the issue. 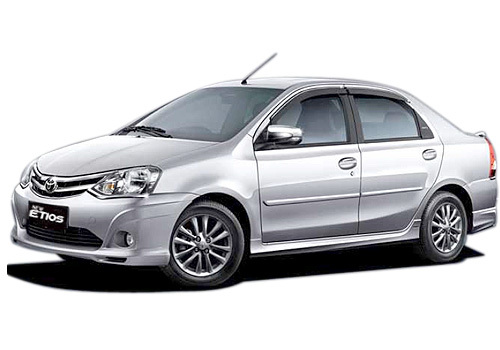 Toyota Etios is nice luxuary car, CD Player feature is minor in this car, so why you miss this. Music player is must in car to enjoy the ride. You must have asked to its service center or to your dealer. This car having great engine performance..
Toyota Etios great looks, amazingly comfortable, great engine and good performance.